Commercial real estate is constantly evolving with factors such as builders, Private Equity Real Estate (PERE), Engineering, and Real Estate Investment Trusts (REITs) that are ever changing. We’ve pulled together a list of key components for growth to help you better understand what this next year of Commercial Real Estate is looking like for buyers. Cybersecurity – consider the internet of things when planning on purchasing a property. It is important to identify weaknesses and strengths of the property’s ability to protect against internal and external deterrents. Outsourcing – understand that outsourcing some of the work is going to be essential to keep your property afloat during the next year. Having great B2B contacts will be an asset. Health & Wellness – 2016 was a year of self-help and body improvements, keep this in mind when looking at your property. Be sure that your future employees have access to fitness facilities and/or resources because the trend is going to continue in 2017. Rent – As homebuilders are building units for rent than for sale, commercial real estate is following suit. Properties aren’t being made with as long-term goals anymore, they’re looking for short-term leases before consumers move on to something else. These are just a couple of things of what to look for in a successful year in real estate. The country is growing and so is commercial real estate. 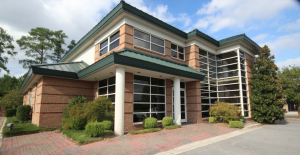 If you’re looking to grow your business in Eastern North Carolina, be sure to contact us to learn about our properties!